“I wouldn’t hesitate in recommending Jeff Licence to anyone keen on up-skilling their team in all things digital storytelling. He made the process easy, enjoyable and extremely rewarding. 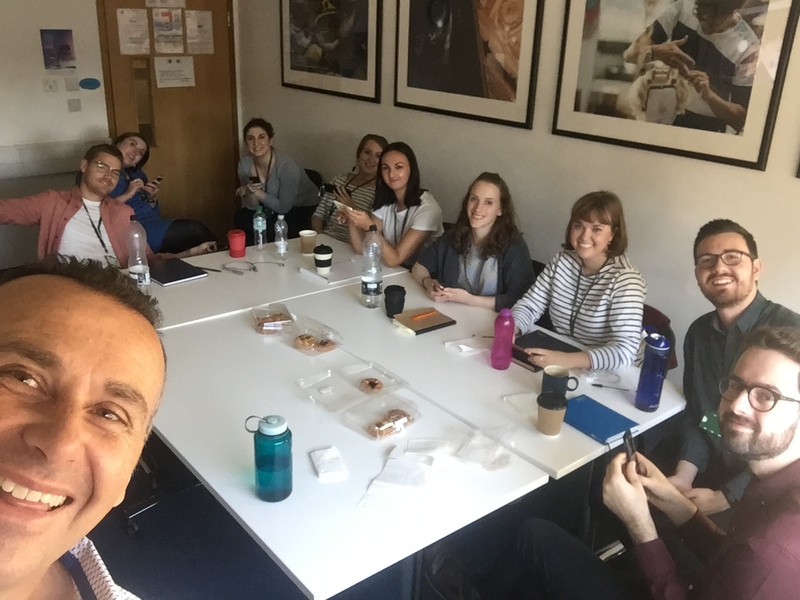 Jeff training the Royal Opera House team in London in 2018. How do you best tell your story to capture an audiences attention? Stories are who we are. They reveal the sum of us. We all have amazing stories to tell and yet sometimes we just don’t know the best way to tell them. How do you share with staff, volunteers, boards, clients and the public what it is you do with clarity and emotion? How do you keep a compelling, ongoing social media presence that will attract the clients and business you want. 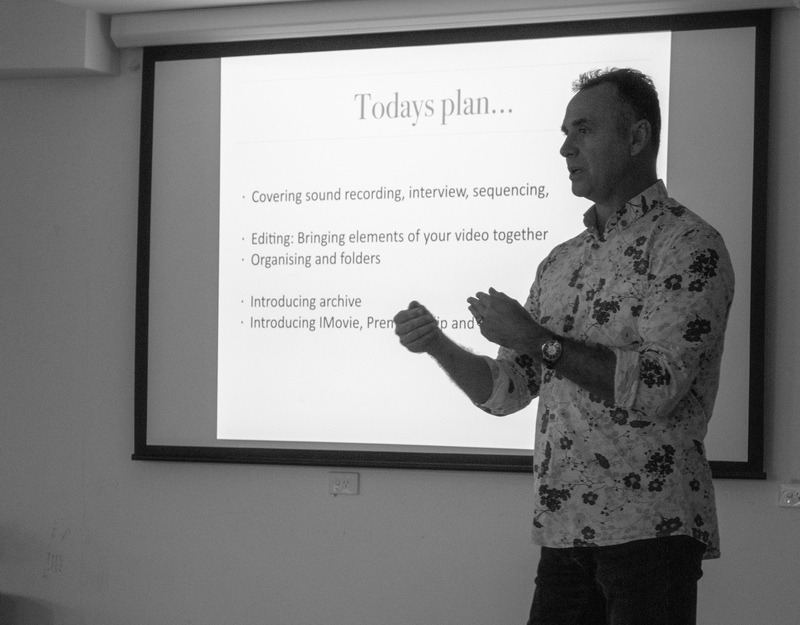 Jeff Licence’s Digital Storytelling Workshops teach the elements of good storytelling and how to plan, shoot, edit and publish quality videos, photographs, blogs and podcasts using tools as simple and available as your smartphone. Over the last 25 years Jeff has adapted to the digital shifts that have occurred in the media, communications, education and marketing landscape, developing an unusual and highly sought after skill set in digital storytelling, mobile video production, understanding audiences, social media and face to face training. 10 years working as Tigermonkey Productions with large corporates, major institutions and organisations, creating short and long form video and documentary content and running workshops and consultancies. In the process, Jeff has taught thousands of people aged 5 to 85 how to plan, create and share their own stories. Jeff’s fun, interactive and practical workshops and consultancy programs pick up where previous marketing and social media workshops have left off, by empowering participants to become their own quality content creators. Managers, Staff, Volunteers and Individuals with a story to tell who want to develop their digital skills. There are a variety of Workshops options available for small and large groups which can be tailored to your needs, ranging from a 2 hour introductory workshop to a full consultancy package running over several months and including in-depth training, support and mentoring. Jeff also offers training and mentoring for individuals. Contact us on the form below for a detailed proposal on your workshop options and costs. • To hone their storytelling craft through ongoing feedback and supervision, from planning to publishing. • Understand the structure and elements of storytelling to define and extract their unique story/ stories into authentic offerings. • Skill development in using smart phones to shoot video, photograph and record audio, build a visual sequence, conduct interviews, write blogs or create podcasts. • Skills to create content and publish it to social media or their website, all from their smartphones within a short turnaround time. In person and online follow up on story edits before publishing. Jeff also offers individualised consultancy packages to businesses, organisations, institutions and individuals wanting to create their own meaningful, shareable content. Interview techniques, including asking the right questions and how to get the best from talent. Working with presenters, managers, CEO’s etc on their ‘on camera’ presentation skills. Brainstorming story content and angles for future video and audio creations. Developing team capabilities to shoot, edit, and upload to social media within a quick turnaround time. Skills to create and publish an event video as it happens from smartphones. Using DSLR and smartphone cameras (based on clients equipment) to convey important information and provide a sense of ‘being there’ for an audience. Advice on the most appropriate online / social media platforms based on type of content and communication needs. Advice on best / most appropriate digital equipment to purchase. This consultancy package is a deep, comprehensive approach in developing digital storytelling skills and is the most useful and supportive long term process for an organisation. Although their outcomes differ, all these groups share common needs: to communicate effectively, capitalise on video as the new literacy, tell a good story, develop in house skills and save money on outsourcing. Presentations are tailored to suit specific audiences.